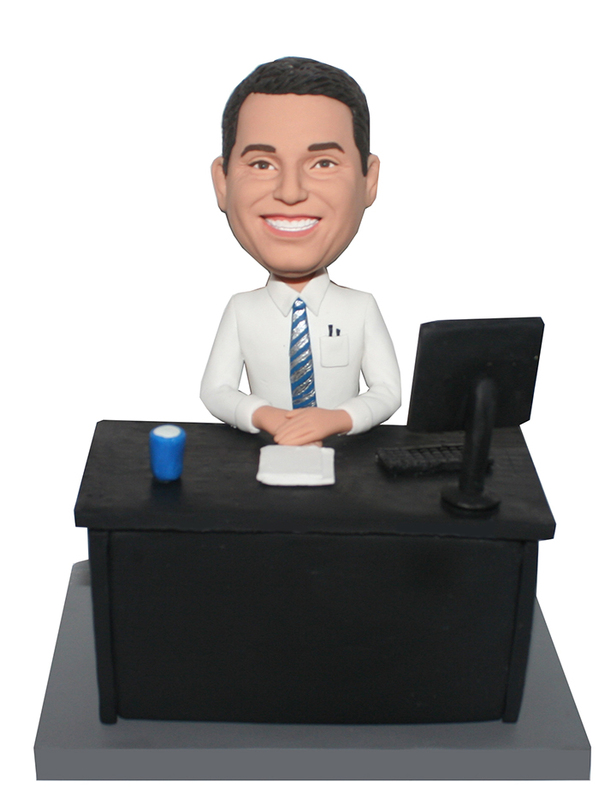 Seated at a desk, this custom male bobblehead doll is wearing a white shirt with a black tie and is cross hands on the office desk.This customized bobblehead may give your boss a surprise. A good way to tell him about your heart. Not that easy to operate a company and to be a good leader. Your gift will give him more power and confidence to the future.